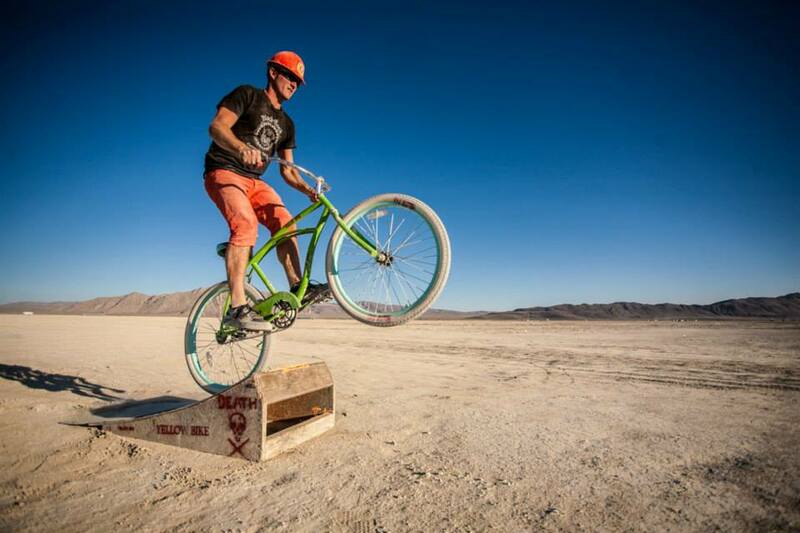 Since 2013, I’ve managed Burning Man’s Community Bicycle Program. We’re tasked with building >1,000 bikes for free, communal use during the event. In addition to being responsible for this program’s staff, budget, timeline, and execution, I developed a streamlined communication plan to help us meet key goals. For example, we wanted to encourage the community to donate a specific type of bike to us at the end of the event so that we could compensate for bike theft/loss and continue to expand the community fleet. I successfully worked with Burning Man’s media team and various communication channels to promote this key point, and the result has been >500 donated bikes, which have since been converted to the communal fleet. The above case study illustrates a point often overlooked by graphic designers: our work does not exist in a vacuum and we have the ability to make real-world change. I feel that one of my greatest assets that I bring to every project is the ability to see this bigger picture, and bring the necessary pieces together. While freelancing is often an activity of solitude, I have a great deal of experience managing large teams and keeping everyone motivated.